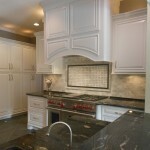 Home Remodeling - Houston Texas - Siding, Windows, Doors, and more. Wood Haven Construction was founded on integrity and quality, and all of our construction and remodeling projects embody these values. We work with an extensive network of skilled designers and specialized tradespeople who share the founder’s high standards and project loyalty. Serving the Houston Area with “Quality at a Fair Price” since 1984. Specializing in Custom Home Additions, Designer Kitchens, Bathroom Remodeling, Room Additions, Home Remodeling, Windows, Doors & Siding Replacement, Roofing, Decks, Patios, Outdoor Kitchens and Driveway Replacement. At Wood Haven Construction, we offer what we consider to be a unique home-building management program. After being in the new home construction business for over 25 years, one thing became apparent: The average customer today is an astute, knowledgeable, and informed individual who wants to be a part of building their custom home – at the builder’s cost. With this in mind, we created our program from the ground up to help design and build custom homes for the homebuyer, but at our cost. To find out more about our program, contact us for details. One point of contact from project conception to completion. Minimizes cost over runs and unexpected expenditures. Ensures client building plans are executed with maximum precision and consistency. Eliminates finger pointing between subcontractors. To View Our Recent Projects CLICK HERE! Time for a change? Let Wood Haven Construction help you to design that new dream kitchen, a luxurious new bathroom, or if you want to build a new addition to create more living space. Wood Haven offers professional quality workmanship for all your home improvements. Does your siding look like it is ready to fall off or has outlived its expected lifespan? Then let Wood Haven Construction install the best siding available, James Hardie cement fiber siding with a 50 year warranty. This durable siding is now offered in a beautiful array of colors that will add to the beauty and warmth of your home. At Wood Haven Construction we can install a complete home of high grade energy efficient new windows or doors, which will not only add to the beauty of your home but save you money for years to come. We promise to exceed your expectations with professional quality workmanship and standards. Your roof is one of the first things people see when they drive down the street or up to your home. Let Wood Haven make sure they see a roof that reflects the impression you want to make. We will install a beautiful new architecturally design shingle, metal or tile roof that is designed to enhance the beauty of your home.